Whether it is responding to spill and leak of your electronic devices, cleaning air conditioner or heater, or waxing floors, it is highly useful to schedule a spring cleaning tips for him. If you are not a "he", check out our Spring Cleaning Tips for Her blog post. Let's get started, shall we? A. Have a good spring cleaning check list. I picked out one that is absolutely useful for the man of the house to follow through. B. Sparkle your car; and your wife's. 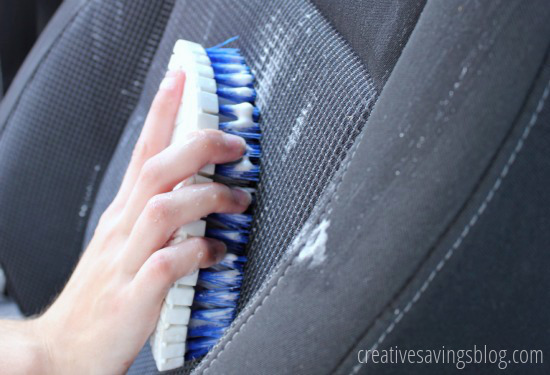 Here's the most efficient way to spring clean your car in 5, 15, 30, or 60 minutes, depending how much time you have at the moment of the spring cleaning mood arrives. C. Got a blocked drainage? Use salt. Source: RealSimple. D. Use half of tennis ball as bulb remover. Source: RealSimple. E. Polish chrome on taps with baby oil. Source: RealSimple. F. Choose from our many gloves especially when you are working with harsher cleaning chemicals.